This article is for anyone who is thinking about moving abroad with children …. Before, looking at these 3 tips in more detail, let’s look at the concept of “time” and “timing”. Time is extremely important in our lives; it helps us structure our daily lives and activities, so that we can live more organized, productive and enjoyable lives. While there are always drawbacks to being too conscious of time (such as the feeling of being “ruled by the clock”), it is essential that we have this marker to use while we work, play, grow older and make important life changing decisions. This becomes even more crucial when we become parents and have our children to care for and manage. Timing is a key factor to the success of many events in our lives. Knowing when to act is critical in anything we do. If we are aware of the importance of timing, we are more likely to be successful. However, if we ignore the importance of timing, achieving success becomes more of an uphill struggle. It can be argued that timing is the state of affairs that determine whether we will be able to reach our goals or not. It can be the conditions we create or the hand that life has dealt to us at any given point. However, when planning on moving abroad with children, the hand of fate often plays a minor role. – the selecting of the best time for doing or saying something in order to achieve the desired effect. – the process or art of regulating actions or remarks in relation to others to produce the best effect, as in music, the theatre, sport. 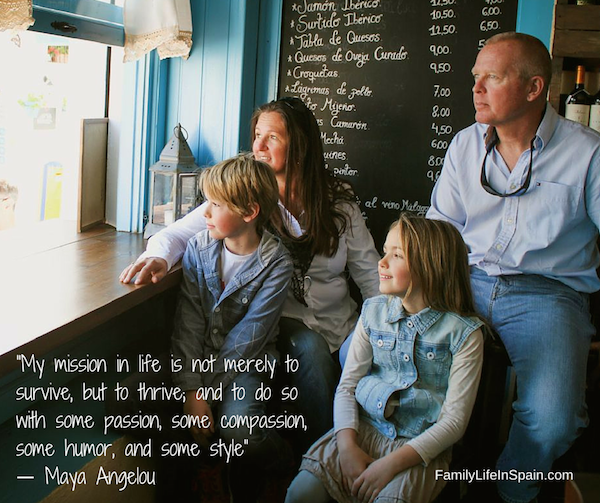 So, what “Timing” am I referring to in my 3 Tips for Successfully Moving Abroad with Children ? My experience is based on my dealings with families moving to Spain with children, however the general concepts can be applied to any country. We are adults. We are responsible for our decisions and our actions. As parents, we are also responsible for the decisions we make for our children. This may seem obvious, but a recent survey I have conducted, about moving to Spain with children (by people who have already done it), brought some shocking truths to light. There is no one correct answer to “When is the right age to move abroad with children?”. However, this is a question you must ask yourself about your own personal situation. Generally, younger children are more adaptable and open to change and therefore easier to move. If you are moving to a country that does not speak your native tongue, the younger the age of the child, the earlier they will adapt to the new language if they are immersed in it. Older children may be more resistant to the idea of moving to another country due to leaving friends and of course the more complicated issues in terms of education. On the other hand, they understand a great deal more about different cultures, retain far more, and can therefore gain much more from the experience. There are many online articles and guides about how to prepare your children for their move abroad, take time to read them and learn from other peoples experiences. Irrespective of age, the more time you spend planning your move and involving your children in your plans, the more likely you are to achieve success. Provided you have a choice about when you move, (ie, it is not subject to work demands, although that does not always have to dictate the timing of your child’s move), the only way you can decide is by researching your chosen destination. I am often surprised at the number of families who tell me that they are planning to move to Spain “just before Christmas” or “over the Christmas period”. I cannot think of a worse time. Needless to say, their plans change following their first conversation with me. Why do I consider this to be a bad choice? In a nutshell; the weather, school timetables and Christmas celebrations! Tip 1: Research the weather patterns of your chosen destination. Here in Southern Spain, the majority of people chose to move here for the sunnier climate and the wonderful outdoor lifestyle (amongst other factors of course!). However, the weather is generally the most unreliable between the months of December and March. As a result, you and your children will not be starting off in the best climatic conditions. Your promises of sunny days on the beach and outdoor lifestyle may well be questioned! Tip 2 : Research local and traditional celebrations in your new destination. Christmas and New Year is traditionally a time to be spent with friends and family. It is the most celebrated time of year in some countries but not in all. Imagine, your first Christmas in your new destination where you do not know anybody, you may not even be able to buy a Christmas tree and all the gifts sent by post have not yet arrived. Not an ideal situation for our loved wee ones is it? Tip 3 : Research school term times and enrolment procedures. In Spain, school applications a generally submitted in March, places are confirmed by June and term starts in September. So, why move over in December? Even in our home country, starting a child in a new school in the middle of the school year can be challenging. Imagine starting them in a new school in a new country in the same circumstances. Don’t we at least want to try and make it easier for them? In many countries, schools offer summer camps in the months of July and August, this is a great opportunity for your child to meet some of their new classmates to be, in a more relaxed and fun environment. Why not check this out before finalising the planned time of you move? 3. Is this the right time for you? People move abroad for many reasons. People also move back to their home county for many reasons. Unfortunately, not always the right reasons. How do you know if this is the right time in your life to make the move? Ask yourself: What is my main reason for wanting to move abroad? Work Commitments? Many people move abroad for work commitments. If this is your case, are you sure that taking the children with you is the best choice? Have you considered commuting? Many families live very happy lives like this. 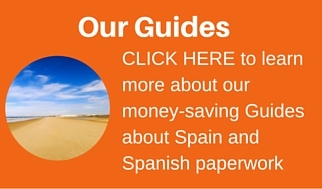 Check out the alternatives and ensure that your new destination is suitable for your children. Does it offer the opportunities you want for them? Looking for new job opportunities for yourself? This is a difficult one, especially in the current economic climate. I am currently advising people not to move to Spain unless they are financially independent or they have secured a guaranteed work contract. In search of a better lifestyle?This is thankfully the main reason people tell me. It is the reason I most love to hear. It is the reason I live where I live.It is the reason I love my work. So there you have it, my three (and a few more!) Tips for Successfully Moving Abroad with Children. I hope you do not feel I have preached. My aim is merely to give you food for thought, questions to ask yourself and to drive home the importance of research, planning and timing. I will be expanding on the points highlighted in this article, and other important issues, in future posts. To ensure you do not miss them, just add your email address in the box on the right of this page and they’ll be delivered to your inbox as they are published. I’d love to hear your thoughts on the matter and answer any questions you may have. Oh, and for anyone who has already moved to Spain with children, I’d really appreciate you taking time to complete my survey … Just contact me here. “It’s all about the children …” Well said Lisa! We’ve seen so many people with their heads in the clouds come steaming over with children in tow who haven’t thought it through. If you’re kids haven’t got the buy in, or not at the stage you’re in for a very tough time – at best! We were always suprised at the number of families that thought the English speaking/International schools on the Coast would be non-fee paying!!! I’d also say that for older children approaching GCSE’s/A’Levels/IB it would be unfair to put them into Spanish school as you don’t pick up the language as quickly and inevitably educationally there will be a knock on effect. Also regardless of what UK universities say they don’t always understand foreign exam results, at least they didn’t 15 years ago when I was applying. They even viewed IB with suspicion. Well written, Lisa. I’m sure that it will be very helpful to anyone who is considering a move to Spain and has concerns about the effect that it will have on their children.